This month MICA, master in current affairs for all exams, is also a very important edition. In this edition #MeTOO campaign, Current Rupee crisis, End of Section 497 and Nobel Prize 2018 information is also included. This magazine is available in both English and Hindi edition. We are providing this MICAs Demeber 2018 edition for free as demo. We guide to buy the original magazine from store to respect publication. 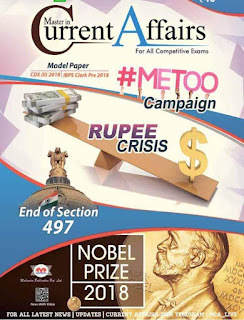 Click here to download MICA Dec 2018 Current Affairs PDF in Hindi. 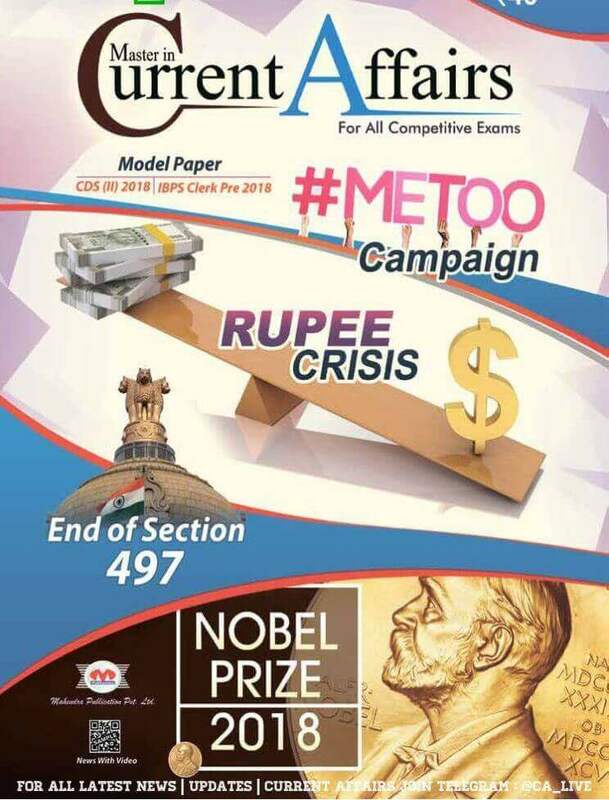 Click here to download MICA Dec 2018 Current Affairs PDF in English. Click here to download Maths Notes in Hindi for SSC, Banking and Railway etc.